There are three primary types of short story writers: Those that focus on the short story format and make a successful career within the field; those that are just starting their writerly journey and use the short story genre as a way to introduce readers to themselves and/or their style; and lastly, established authors who occasionally dabble in the shorter format, usually as a way of writing works that would not fit into their larger oeuvre. 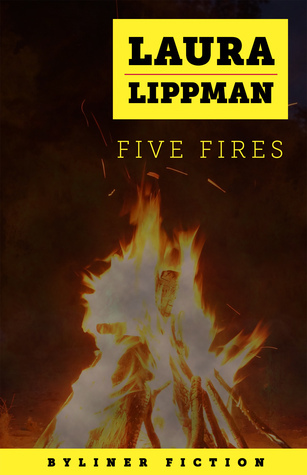 “Five Fires,” by Laura Lippman, clearly belongs in the last category. Laura Lippman has a successful career writing both series and stand-alone novels, but like many other writers, some of her ideas are better suited to the short story format in which she periodically experiments. “Five Fires” is the story of two girls struggling through their adolescence while an arsonist is setting a series of fires in their small community. Beth Ennis and Tara Greene have a relationship typical of many young people. Their emotions run high and they can at once be supportive of and vindictive toward each other. This nature is not solely the domain of females, but like Megan Abbott, Laura Lippman excels at depicting the complexity within the lives of young girls. The boys in the story certainly play their part, but as a short story, it is necessary for Lippman to focus on the characters with the most dramatic story arc. Like any good short story, the action here is tight and every scene – in fact, every word – must count. To say much more would ruin the experience of reading this quintessential coming-of-age story. When we are young, we often act solely on our emotions and only later do we realize that what we believed and what we did were not always correct. Laura Lippman manages to squeeze a lot into this story, some of which will be controversial, but it is exactly those things that make this a story that should be read. “Five Fires” can be easily consumed in one sitting, but the ramifications of the story will linger far longer. Readers may in fact change the way they think about some real world topics once they learn what is going on – and more importantly why it is playing out the way that it does in this tale. What appears on the surface to be a fairly simple short story is really an indictment on passivity, blame and shrugging responsibility. Disclaimer: An e-galley of this title was provided to BOLO Books by the publisher. No review was promised and the above is an unbiased review of the short story. Thanks for the heads up, Kristopher. I’ll have to put this on my list. Do you know when it comes out? Or is it out already? It is out already Barb. Available in most digital shops. Not sure about print versions, but I think they are available too.